On Monday, the House of Representative will consider H.R. 1726, legislation Resident Commissioner Pedro Pierluisi (D-PR) co-authored with Congressman Bill Posey (R-FL) to award he Congressional Gold Medal to the 65th Infantry Regiment, the Borinqueneers. The bill’s popularity is demonstrated by the House’s willingness to consider it under suspension of its rules. Under suspension, the time for debate on a bill is limited and no amendments are permitted. To achieve this special status, a bill must be sponsored by two thirds of the voting members of Congress, a hurdle that H.R. 1726 has cleared. Senator Richard Blumenthal (D) of Connecticut is the primary sponsor the Senate version of the bill (S. 1174), which has the support of almost two thirds of the U.S. Senate. The Borinqueneers received two Presidential Unit Citations for their service during the Korean War, and many individual members of the unit have received military honors. The unit as a whole showed exceptional valor in spite of discrimination. 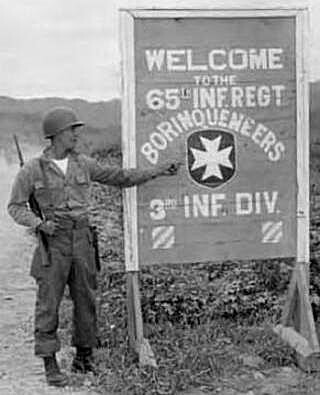 The 65th infantry regiment was the subject of a recent film which has increased awareness of this special military unit. Nearly all the members of this unit were from Puerto Rico, and it was the last segregated unit in U.S. history. While they are best known for their service in Korea, the Borinqueneers were also active in both World Wars. The unit was officially recognized in 1920, although the Borinqueneers tradition of service stretches back before the 1917 act which granted citizenship to the people of Puerto Rico and the 65th Regiment was established in 1899. There has been a grass-roots movement to honor the Borinqueneers for some years. Other ethnically segregated units such as the Tuskeegee Airmen have been honored in the past, and it is time for Borinqueneers to be honored for their controbutions. Read more about Puerto Rico’s war heroes here. Will it be a Medal to the div. of infantry or to the soldiers?